Who influenced you as a child? I don’t mean your teenage or even preteen years, I mean as a kindergarten or elementary age kid…who was your favorite person that left some sort of an impact on you? I know I can give you the names of at least three people that impacted me in that age range and I remember them clearly to this day. The impact a person can make on a child is so much more than we give it credit for. We can help shape a part of the next generation by loving and caring for a kid! How incredible is that? One of my favorite moments in Jesus’ ministry is in Matthew 19:14 where children were brought to Jesus, and the disciples told them to leave. Jesus responded “Let the children come to me. Don’t stop them! For the kingdom of Heaven belongs to those who are like these children.” How precious is this image? Imagine how this tiny moment impacted those kids for the rest of their lives, and then they could share that story with their kids, and so on, impacting the generations after them. The tiny moment with a child when you listen to their story, let them share their thoughts, or even just remember their name; these seemingly small moments reflect the same authentic love that Jesus had in his eyes when He looked at those kids and said, “Let them come to me”. This raw and authentic kind of love is exactly what we need in our Kid’s Point ministry both at our current location, but also as we step into this new multisite campus. 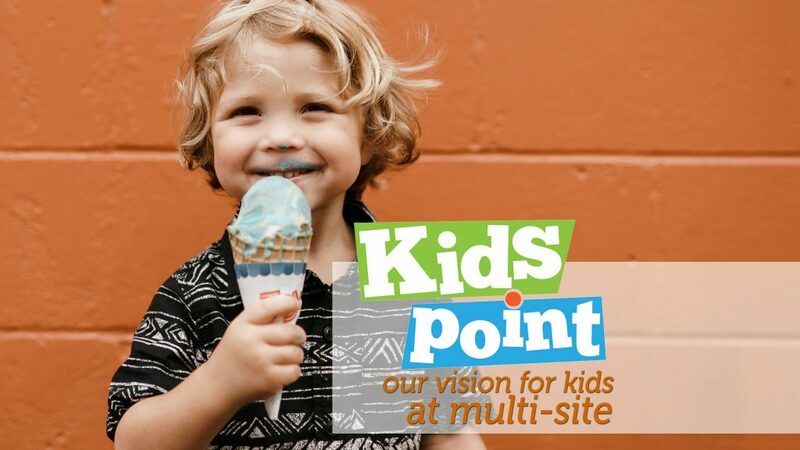 The moment a child walks through those doors at Kid’s Point at the multisite campus, I want to see them being loved, praised, and immediately feel like they are welcomed into something bigger than they are. Kids are capable of so much more than we realize and they understand the things of God on a level that I aspire to reach. My dream is to see our Kid’s Point kids given the opportunity to experience a great move of God every Sunday morning, and to freely step out into the gifts that God has placed on their lives. I want to empower every child to have a genuine love of the presence of God and for them to love coming to church and experiencing a family that want to do life with them and values them. Let us regain our wonder and awe of who our Daddy God is once again as we invest into the next generation, we might just learn something from them.